Use a hamster house as a hideaway for your axolotl! Select a hamster house that will fit well in your aquarium and that can easily accommodate your axolotl. 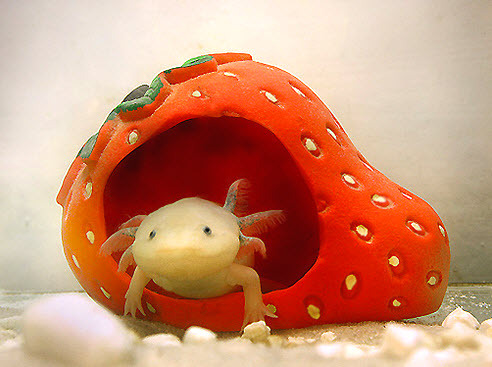 If needed, submerge the hide in water for about a week before placing it in your axolotl tank to see if there is any film in the water or foul odor leaching from the plastic.